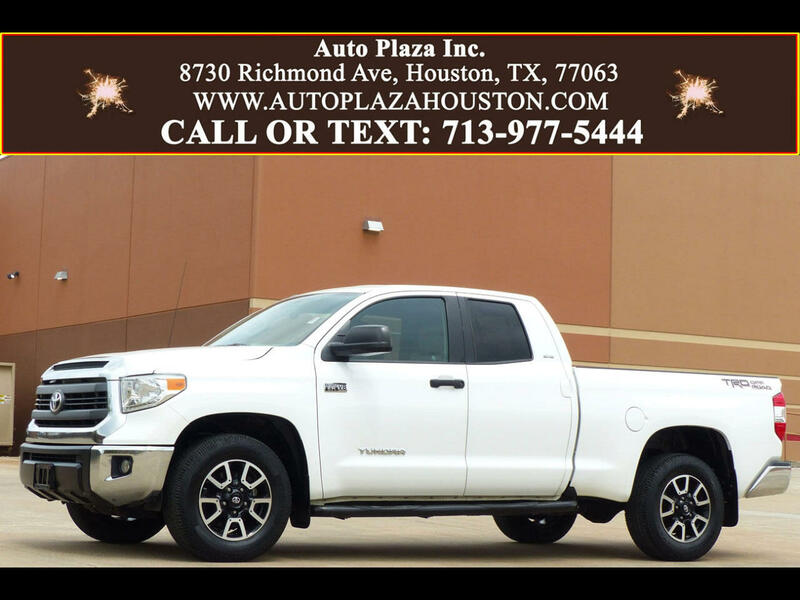 Used 2015 Toyota Tundra SR5 5.7L V8 Double Cab 2WD for Sale in HOUSTON TX 77063 Auto Plaza, Inc.
Auto Plaza Proudly Presents This 2015 Toyota Tundra SR5 Doublecab 5.7L V8 with the TRD Offroad Package, SR5 and SR5 Upgrade Packages!!!!!!! This Tundra really is the Perfect Combination of Sheer Brawn and Beauty! Options Include, Upgraded Bilstein Shocks, Skid Plates, Automatic Limited Slip Differential, 4.30 Axle Ratio, Fog Lights, Power Seats, Backup Camera, 7-inch Touch Screen, Premium Audio System, Bluetooth for Phone and Streaming Audio, XM Radio, CD/ MP3 Player, USB Port with iPod Connectivity, Aux Audio Input, 18" Alloy Wheels, Power Sliding Rear Window, Running Boards, 6.5Ft Bed With Spray In Bed Liner, Tow Package, Traction Control, Tilt Steering, Remote Keyless Entry, Power Locks, Power Windows, Dual Front AirBags, Power Mirrors and More! So, What Are you Waiting for? Call NOW to Find out how we can get you into this Great Truck. Financing Available!